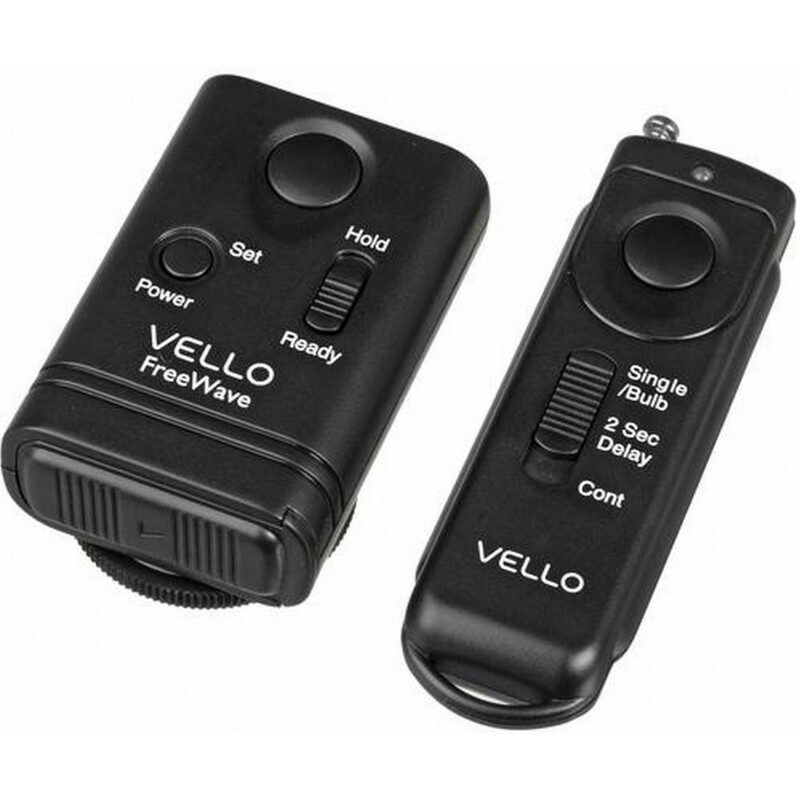 Whether capturing images in the studio or on location, the Vello FreeWave Wireless Remote Shutter Release adds flexibility and versatility to your shooting style. Photography unplugged - shooters can interact with a model, view the scene or set from alternate angles, or set a camera by a stream to capture an image of a bear hunting while you remain at a safe distance away - all this and more without missing a beat, a shot, or a moment. This particular FreeWave unit is compatible with cameras with a 3-pin connection, i.e. Canon 1D series, 5D and 7D series DSLRs. 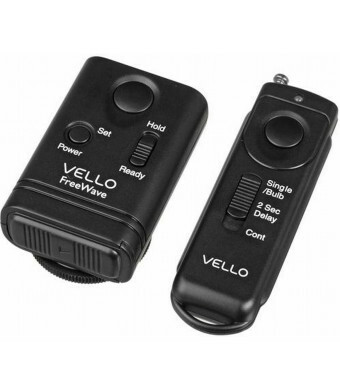 This versatile shutter release features Smart Code technology which allows it to be configured to operate on up to 16 million possible radio channels. You can easily switch channels to zero in on a frequency that provides optimal range and functionality. The FreeWave operates with radio frequency (RF) technology, therefore a direct line of sight is not necessary; radio waves pass through objects such as windows and walls. It is unlike other wireless remotes on the market that operate on an Infrared (IR) system and require a direct line of sight between transmitter and receiver to make things work. Since touching the camera even lightly while capturing an image can create a blurred image, the FreeWave eliminates this by tripping the shutter without any disturbances. This is critical when photographing subjects close up, and for long-exposures and macros. It is also extremely valuable when photographing nature, wildlife and other subjects that are difficult for you to get close to.